I believe that the problems of this nature in the craft brewing industry are formed by enthusiasts, who are looking for more meaning in life. 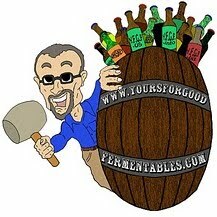 Yes, there is a lot of bad beer out there. However, people would be more happy if they looked elsewhere for meaning and looked for enjoyment with what they have. You don't have to enjoy swill, but you can enjoy the journey through life's endless variation and interpretation. If you concentrate too much on the negative, it generally means that you have a hole in your own personality and are generally dissatified with life. 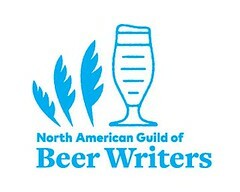 I don't spend too much time on it, but I pity those "hop heads" or "beer geeks", who are in search of the best beer. If you only look for the best, then you will damned to disappointment. If you look for what is good in life, then you will enjoy yourself more. The best beer...I once interviewed someone connected to a Chicagoland brewery who had become increasingly irritated with the local beer geek crowd. Paraphrasing him, the issue was loyalty. For some reason, drinkers of macro brews have always seemed to have more loyalty to their brand than craft beer drinkers, and he understood this. But at the same time, his brewery was bending over backwards to cultivate loyal customers, giving frequent beer tastings, handing out do-dads like t-shirts and such, and sponsoring local events, even homebrew happenings. And yet, the moment something new caught their (the geeks) attention, they were gone, except when they needed the brewery for some free beer or some swag for another event. The search for the "perfect" beer can be frustrating for the people who have put their money and time on the line, he went on, and while no one expects blind loyalty, remember that your local brewery can one day disappear, and when that happens, the geeks will bemoan the fact that "their" brewery couldn't make it. There was also a minor controversy about one of the beers at the time; they called it a certain style, and since they were brewing it, you'd think that they knew what they were talking about. But the local "experts" disagreed and insisted that the beer was not the style that the brewery said it was; the experts insisted it was something else. And this irritated the hell out of the brewery owners. "Everyone's an expert," said the brewery rep, "and that's a problem because it's like saying 'We [the brewery] don't know what we're talking about.' We're brewing the beer. We know the beer. We know what goes into the beer...and we know what style of beer we're brewing." In a sidenote, Tom recently posted that he would no longer rate beers. I say "Bravo!" Taste is subjective, and haven't we all had a fantastic beer, surrounded by good friends, good food, good music, that tasted sort of average the next time you drank it, sans friends, food and music? Tasted like a "10," and now it's a "5." Years ago, the story used to be how we were different than pretentious wine drinkers who would study a wine label, swirl their wine (in the appropriate glass, of course), talk about its various tastes, and look down their collective noses at those who didn't understand the wonders of wine. We were just simple beer drinkers who simply enjoyed a good beer, without all the pretentious nonsense that wine drinkers were displaying. And look at the beer scene now. It's a Frankenstein monster, encouraged by ratings, contests, magazines, and too many "experts" telling brewers why their beer is good or not, or why it's "not true to style." Enough preaching. I'll take a look inside the fridge now and decide if I'll sit down with an IPA, maybe a porter, heck...I really do like German pilsners, or maybe I'll just grab a Coors Lite. Taste, after all, is subjective. Preach on brothers, preach on!